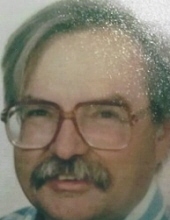 Jones, Dennis Wayne - Age 68, of Burton, died September 9, 2018. Funeral mass will be celebrated 11AM Tuesday September 18 at Holy Redeemer Catholic Church 1227 E. Bristol Rd. Father Steve Anderson celebrant. Interment to follow at Great Lakes National Cemetery 4200 N. Belford Rd. Holly. Visitation will be held 11-1PM and 5-8PM Monday with a Knights of Columbus service at 7PM followed by a parish vigil service at 7:30PM at Sharp Funeral Home & Cremation Center 6063 Fenton Rd. Flint. Visitation will also be held 10 AM Tuesday until the time of service at the church. Dennis was born February 9, 1950 the son of Fredrick Arthur and Ledora (Ellis) Jones. He married Sue Muckenthaler on November 4, 1982. Dennis served his country proudly in the United States Army. He retired from Genesee County Parks. Dennis was very involved in Crossroads Village. He enjoyed camping and was a nature lover. Dennis was tender hearted and liked helping others. He is survived by his wife, Sue; mother, Ledora McIntyre; 3 children, Aaron Joseph Jones, Jonnica Ann Jones, Christina Marie Jones; siblings, Ann Jones, David (Rita) Jones, Thomas (Chrissy) Jones; 11 nieces and nephews; several great nieces and nephews. Dennis was preceded in death by his father, Fredrick Jones; step-father, Harold McIntyre. Tributes may be shared on the obituaries page of www.sharpfuneralhomes.com. To send flowers or a remembrance gift to the family of Dennis Wayne Jones, please visit our Tribute Store. "Email Address" would like to share the life celebration of Dennis Wayne Jones. Click on the "link" to go to share a favorite memory or leave a condolence message for the family.